“The meaning of “identity” we currently use is not well captured by dictionary definitions, which reflect older sense of the word. Our present idea of “identity” is a fairly recent construct, and rather a complicated one at that. Even though everyone knows how to use the word properly in everyday discourse, it proves quite difficult to give a short and adequate summary statement that captures the range of its present meanings” (Fearon, J, D 1999, pp 1-2). In this essay we will identify characteristics of this crisis of identity in reference to Damon Galgut’s ‘In a strange room’ and Banana Yoshimoto’s ‘Kitchen’. Galgut’s novel shows a journey into the spaces ‘in between’ and the boundaries imposed while Yoshimoto uses identity shifts in the discourse of deaths and moving to other places. Analysis of identity is problematic because of the results of the relationships between the characters in each novel because ‘In strange room’ focuses on a cultured identity while ‘Kitchen’ focuses on a gender identity, albeit cultural nuance as well. Both novels use techniques that create uncomfortable moments of silence where the reader is compelled to consider the mundane and everyday aspects of the human condition. “Spacio-temporal transitions acquire value by virtue of being unordered, ‘marking-free’ zones beyond spatiotemporally fixed orders. This is where new things can take shape. In the In-Between- in the Already-Left-Behind and the Not-Yet-Arrived– much is possible” (Hofmeister 2002, p 114). Personally I enjoy exploring the liminal states with my own writing, which is why I am attracted to the qualities of the liminal states and senses of the self, through discontinuity and the sense of journey in the two texts that represent meditation. It is through meditation and journey we discover our identity through love experience and finding places that we can call home and our sense of belonging culturally, gendered, and so on. Identity “refers to the ways in which individuals and collectivities are distinguished in their social relations with other individuals and collectivities” (Jenkins 1996 as cited in Fearon 1999, p 4). Identity is how individuals redefine themselves through journeys into the everyday assessing boundaries at the edge and a kind of schizophrenia ensues. Identity also includes the politics of race, gender and sexuality; these novels both grapple with social and personal zones of identity in crisis. Identity for me is a grey-zone as it is in-between it is not easily defined but can be found at the edge in the silence after. When we stop to think about it, in ‘how’ we could understand it, it’s outside language that we can understand so therefore the ‘word’, as in in a novel: the written word, can only direct a concept of that and our understanding will follow in afterthoughts. That will be based on an individual’s life experience and life expectancies will have variances. 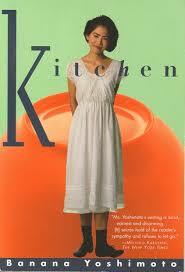 These novels, ‘In a strange room’ and ‘Kitchen’, already put us into spaces that have qualities of expectancy. For example: ‘In strange room’ already identifies an awkward space in transition, as also does ‘Kitchen’ which is in a constant state of transitional zoning. “And that’s not all. Guess what else-she’s a man.” He could barely contain his amusement. This was too much. I just stared at him in wide-eyed silence. I expected any second he would say, “Just kidding.” Those tapered fingers, those mannerisms, the way she carried herself… I held my breath remembering that beautiful face; he, on the other hand, as enjoying this. “Yes, but, could you call someone who liked like that ‘Dad’?” he asked calmly. He has a point, I thought. An extremely good answer. (Yoshimoto, B 1993 pp 12-13). sharing in this ‘spacio-temporal zones’. These liminal zones are where our identity finds the ‘edge’ and weaves connectivity and grounding preparing the individual for the next event. Perhaps locating identities and representations of this through written accounts of human journeys. “A young man takes three journeys, through Greece, India and Africa. He travels with little direction, letting the chance encounters of the road dictate his path. But although he knows that he is drifting, he is unable to settle. The people he travels with shape his purpose – as if he can exist only in the eyes of others. And yet each journey ends in disaster. 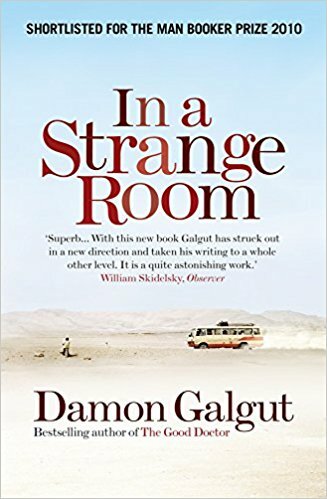 A novel of longing and thwarted desire, rage and compassion, ‘In a Strange Room; is an extraordinary evocation of one man’s search for live, and a place to call home” (Galgut, D 2010, back cover blurb). It is the ‘strangeness’ and the sense of being alone and disconnected that the protagonist envelops a sense that he is adrift and alienated and without identity. Alone we travel on his journey of self-discovery finding paths that end with cul-de-sacs and take us to nowhere really. You end up at an end only to be spun around and sent in another direction. “Beautifully hinged… The novel’s landscapes are breathtaking, agoraphobic in scope and exotic in detail, ranging far from the safety zones towards the unknown and disaster. But it is the internal questing of the narrator that is most disquieting and revealing… ‘In a Strange Room’ is swift, exquisitely written and its journeys are geographically and psychologically fearless” (Hall, S 2010, as cited in Galgut, D 2010). in thoughts trying to unravel location, senses of security and home, inside boundaries imposed by societal norms. Societal norms act as a benchmark to guide us towards the sensibility of who is in the group and who is on the outside. In the novel, even though people are from other places, culturally, it never really mattered as we were taken on a journey travelling with the protagonist into an endless, lonely, shapeless landscape of not belonging. This ‘Strange Room’ encompasses quite the nonsense of identity and what that even means anymore. Our attitudes and behaviour changes with the protagonist as it would with real-life situations as we merge with his loss of senses of self through location of identity. This is a representation of an identity in crisis. A deep resonance of empathy is drawn from the protagonists in each of these written works. I identify with this as an ‘author-in-progress’ as I try to find a sense of depth of location, identity and mapping of what it means for me as a female writer in society at this moment in time that converges with technology and the degradation of landscapes and senses of losing what it means to be human in society today. These kinds of works remind the reader of society through dislocation, discontinuity and the mortification of humanity through apathy and ‘senses of self’ that could be applied in words- that silence and meditation may prove ineffective as constructs. So in view to writing myself, poetic verse of this kind, helps awareness of these conditions that I like to follow and take writing to a whole other level. These novels eloquently provide fugitive ‘avenues’ into the social constructs of ‘the-self’ identifying ‘itself’ through discourse imported as published works like this as individual’s journeys of identity into the world, and the crisis of that. “He has always had a dread of crossing borders, he doesn’t like to leave what’s known and safe for the blank space beyond in which anything can happen. Everything at times of transition takes on a symbolic weight and power. But this too is why he travels. The world you’re moving through flows into another one inside, nothing stays divided any more, this stands for that, weather for mood, landscapes for feeling, for every object there is a corresponding inner gesture, everything turns into metaphor. The border is a line on a map but also drawn inside himself somewhere” (Galgut, D 2010, pp 85-86).